After the band Sleater-Kinney broke up in 2006, guitarist and vocalist Carrie Brownstein had little interest in playing music. "It took well over three years before picking up a guitar meant anything to me other than an exercise," said Brownstein on the NPR All Songs Considered blog, where she is a frequent contributor. "In fact, it was writing about music for NPR -- connecting with music fans and experiencing a sense of community -- that made me want to write songs again." The co-creator and co-star of the IFC comedy series, Portlandia, Brownstein pulled together a few friends over the past year to form Wild Flag. Janet Weiss, the extraordinary drummer for Sleater-Kinney, Quasi and Stephen Malkmus' Jicks, singer/songwriter Mary Timony, former Helium guitarist and vocalist, and The Minders' keyboardist Rebecca Cole join Brownstein for this "alternative" female super-group. The results are charged and impressive. Comprised of two-thirds of Sleater-Kinney, one could detect that band's angular musical approach. Earlier influences such as UK's The Raincoats and the Bay Area's The Aisler Set are not far away in Wild Flag's debut. However, the overall sound leans more towards garage and pop, as in the kicking opening cut, "Romance," with Cole's dense organ riff leading the charge. Judging from the lead vocals, Brownstein has returned with renewed vigor. On the garage-punk rocker "Short Version," there are hints of the SF punk band, The Avengers mixed with Sonic Youth, with Mary Timony providing a swirling, melodic guitar line that threads through Janet Weiss' pounding drums. It's worth noting that Weiss' versatile drumming, from the muscular to the finessed, is prominent throughout Wild Flag's debut. And the surprising turn that "Glass Tambourine" takes, going from minimal garage to an all-out psyche is an aspect one doesn't associate with Brownstein's former band. "Racehorse" takes things to a higher level. The psychedelic-rocker explodes with the whole band contributing to the dense and dirty texture. "I am a racehorse! Put your money on me," exclaims Brownstein, perhaps commenting on our economic-driven world. "Come and put your love on me. Pony up!" Brownstein has found a new chemistry with Wild Flag, especially with Timony and Cole, creating a band that is able to accelerate different musical directions, sometimes within a song, carrying more risk than her previous group. And she and her friends sound like they're having fun. "I have no desire to play music unless I need music," said Brownstein in her NPR column. 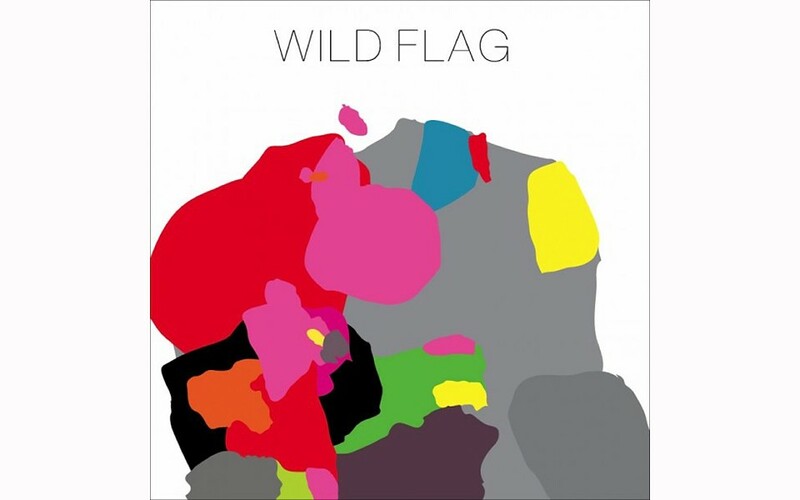 Listening to Wild Flag's excellent debut, there is no doubt in her need. And there is no doubt that Wild Flag flaps in the air in its own distinct colors. Note: Wild Flag plays Monday, Nov. 7 at The Depot at HSU.